Alister McRae evoked memories of his late brother and rally legend Colin McRae at the Adelaide Motorsport Festival. 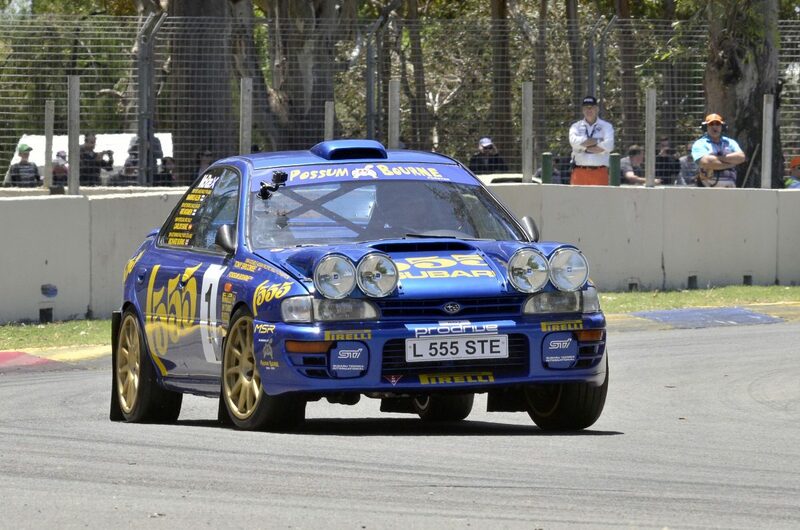 McRae jumped behind the wheel of a factory Prodrive Subaru World Rally Car to cut demonstration laps of the Victoria Park Sprint Circuit. The car was part of the 1993 Subaru WRC fleet which his older brother Colin, who died in 2007, would have driven that season. Markku Alén and Ari Vatanen campaigned the exact chassis in 1993, before the car won the 1994 Asia Pacific Rally Championship in 1994 with New Zealander Possum Bourne at the wheel. Alister McRae enjoyed a successful rally career in his own right driving for Subaru, Hyundai and Mitsubishi in the WRC from the late 1990s to early 2000s. Currently residing in Perth, the 47-year-old enjoyed reliving the past by driving the Subaru Impreza. “I think the Subaru brand and rallying grew with Colin and the McRae name,” McRae told Speedcafe.com. “I did a bit in the (Subaru) Legacy before driving the (Subaru) WRC car at Rally GB in 1998 and other events. “To be able to drive it, is good. “Anytime you jump into definitely brings back memories and I now I’m getting older but I don’t feel older, so when I jump back in I feel like I’m 28 again which is a good thing. McRae also enjoyed a ride alongside Supercars star Craig Lowndes who piloted the $2 Million Ferrari LaFerrari hypercar.